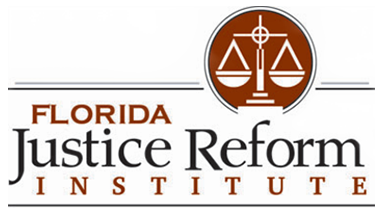 TALLAHASSEE, Fla. — It has been a busy legislative session for the Florida Justice Reform Institute (FJRI), a lobbying group that encourages state lawmakers to curb litigation abuse that hurts businesses in the state. This year, the group’s list of bills to combat outweighs the short list of those to champion. The FJRI only supports six of the 25 bills that it has taken a formal position on during this session. It opposes the other 19, which cover a range of issues, including exposing health maintenance organizations (HMOs) to vicarious liability for medical malpractice, mandating prejudgment interest on awards and creating a cause of action that would allow a woman to sue a doctor for physical and emotional injury resulting from an abortion. To William Large, FJRI president, the lopsided nature of his watchlist this session is proof that trial attorneys in Florida have gained influence in the statehouse. The volume of proposed legislation demonstrates that the legislature has different priorities than it has had in prior years – priorities that Large believes don’t favor civil justice reform. “I do get the sense that the trial bar is in a good enough position that they’re trying a number of things across a broad front,” Large told the Florida Record. The abortion bill, which Large said is "litigation in disguise," shows that the trial bar is using social issues to build support for its agenda. The FJRI is in favor of bills covering three legal reform issues, including accuracy in damages (H.B. 583 and S.B. 146), medical malpractice (H.B. 537 and S.B. 384) and assignment of benefits (H.B. 1421 and S.B. 1038). 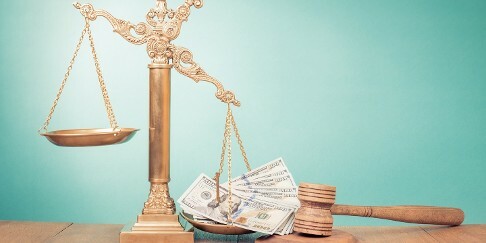 The assignment of benefits (AOBs) bills address longtime insurance litigation abuse that causes premiums to rise while bringing a lot of business to a handful of law firms. There have been four previous attempts to pass legislation that reins in the misuse of AOB provisions in insurance policies. Under an AOB, a policyholder gives up the right to a present claims against someone who performs repairs. Abuse occurs when the other party inflates the price of repairs and then sues the insurance company if it refuses to pay. Of the legislation FJRI opposes, two bills top the list. H.B. 675 and S.B. 262 delete a provision of a statute that says HMOs can’t be held vicariously liable for medical negligence, except in certain circumstances. The way supporters see it, HMOs are making treatment decisions, so they should be held responsible if negligence occurs. But opponents, including the FJRI, see it as an overextension of medical malpractice principles that would be detrimental to the industry. The FJRI also opposes a bill that would mandate that prejudgment interest starts accruing from the time the claim is asserted. The mandate would increase the threat of higher-cost litigation and the pressure to settle. The bill was introduced in previous sessions.